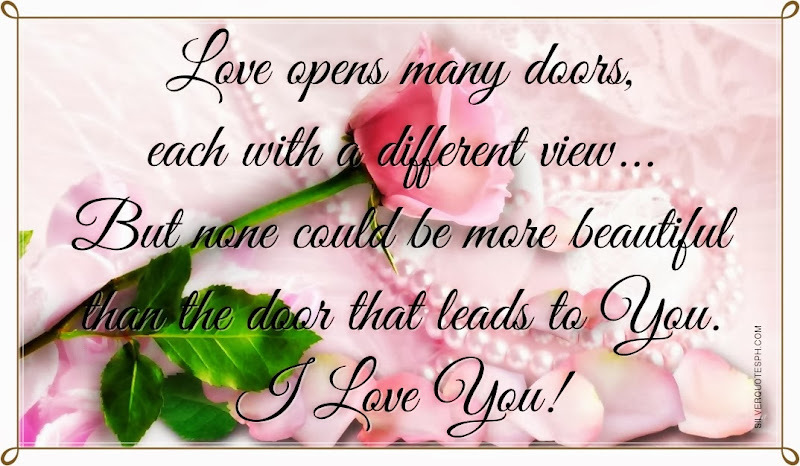 Love opens many doors, each with a different view... But none could be more beautiful than the door that leads to You. I Love You!